The MPBA is the governing body for model boating in the UK. Join the MPBA. Get model boat insurance. 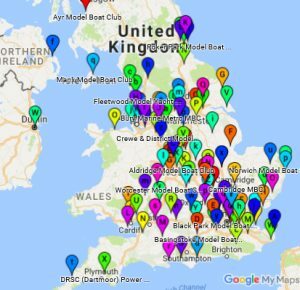 Find out about model boat clubs, Scale, Multi (FSR-V), Tethered Hydros, Fast Electrics, Straight Running, Club 500 and Circuit (FSR H/O). We bring you up-to-the minute rankings from the various Championships, all the latest News from around the sections, reports from events and the most up-to-date Event Calendar and Club Directory and Map on the web. Most model boating disciplines have a dedicated website and links to each of these are shown on the relevant Section pages where you can find contact information relating to each boating type. It’s easy to join the MPBA – fees have been frozen for 2018 and we’d love to welcome you as a member via either an affiliated club or individually through the Countrywide Club. The Model Power Boat Association was founded in 1924 and Incorporated in 1979 as a Limited Company. It is a non-profit making organisation with no share capital. The Association promotes all types of boat modelling activity including RC Boats, Free Running and Static Models, encouraging members to take part in the hobby at all levels and particularly to enter the many competitions which are held throughout the country and overseas. A particularly important area of this site deals with rules and regulations both statutory and those imposed by the Association, various files are available for download. It should be remembered that if there are any conflicts between section regulations and those of the Association, the Association regulations are aligned with recognised International bodies such as Naviga and iMBRA and adoption of contrary rules may result in ineligibility for national and international competitions. For detailed MPBA Section contact information for Scale, Multi, Circuit, Fast Electric, Straight Running and Tethered Hydro, please see the MPBA Sections menu or the Contact Info page on the members only menu.